Bored with the same old hairstyles? Do you spend hours figuring out how to style it in a different way and wear it and then end up not liking what you see in the mirror? Then, we are here, as usual, at your rescue! I love my hair’s length – it’s just perfect – medium or shoulder length hair. 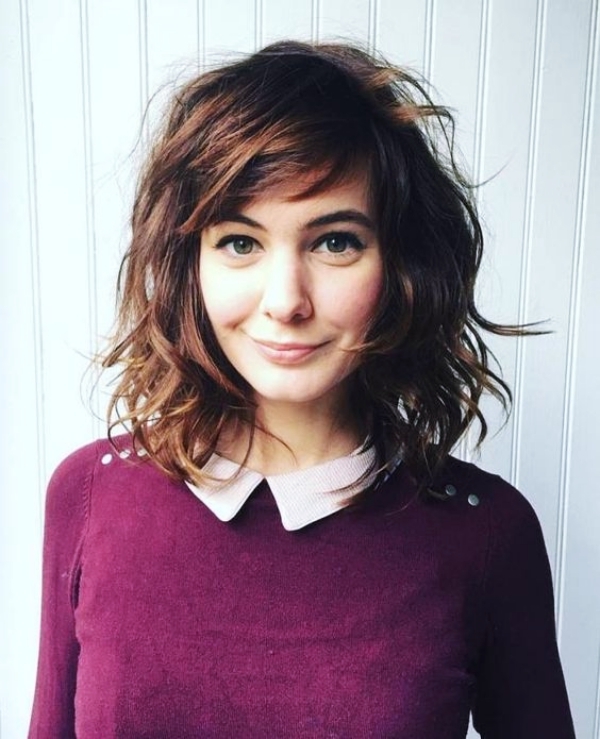 I recently got to know some super easy shoulder length hairstyles for women and thought, why not share it with all you! These easy shoulder length hairstyles for women will change your look so much, you just might not recognize yourself! Guess what, I may share some easy and life-changing secrets that will let your hairstyle make you look 10 years younger. A fun beach wave for your shoulder length tresses can be created with a curling iron and some hair spray. After you have the waves, add a teeny drop of oil to separate the curls. Some hairspray and shine and you can wear this anywhere – the beach or a formal event. Long bob hairstyle has a unique feature of elevating personality instantly, isn’t it? Artfully careless hair looks great, and if you like grunge music and the windblown look, go for this one. You will look young and carefree. Use some hair straightener to get those strands into place, and arrange the front of your hair to fall over your forehead to get that windblown feeling. Spray it all into place to avoid having it go awry. This one is timeless. You need to color your hair the shade blonde babies have and use some hair lotion to prep your hair for the curls. Use a blow dryer and your curling iron to create gentle waves and finish up with a mild hair spray. If you think layers are boring, think again. It adds volume to limp hair and you can have some really long layers combined with short chin-length ones to frame your face. Again some hair mist will help keep the hair-styling intact against harsh weather elements. The best part about these easy shoulder length hairstyles for women is that you can do them yourself without much professional help. 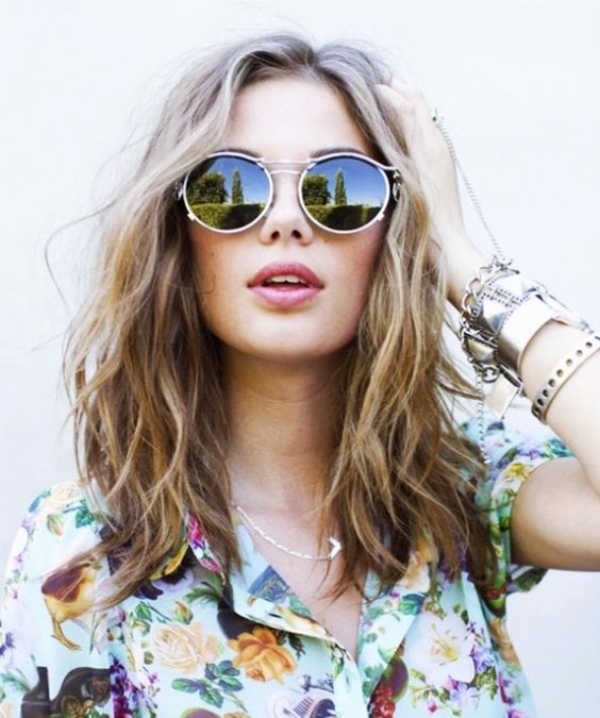 If you have really wild and untamed hair that is thick and coarse, it is time to cut it short. 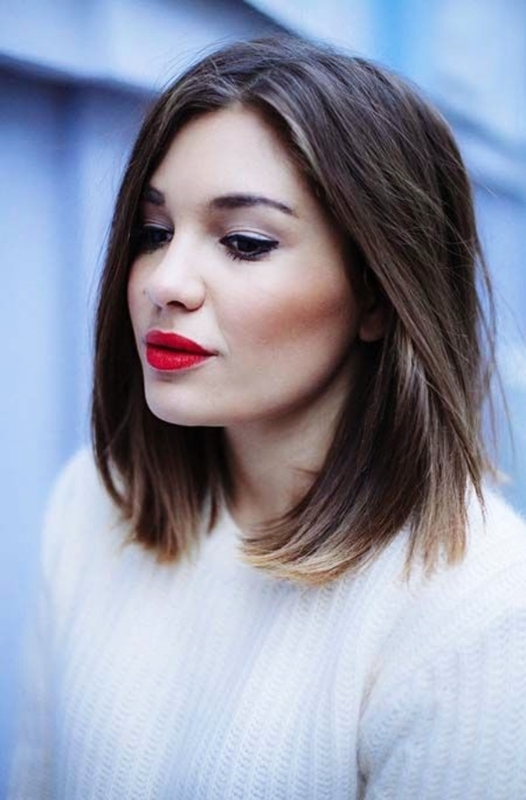 A shoulder length cut will style really well whether you want to straighten it or keep your curls. Use a hair smoother to sort out the curls and then some hair straightener and oil to keep the curls in line. It will actually hold for days. 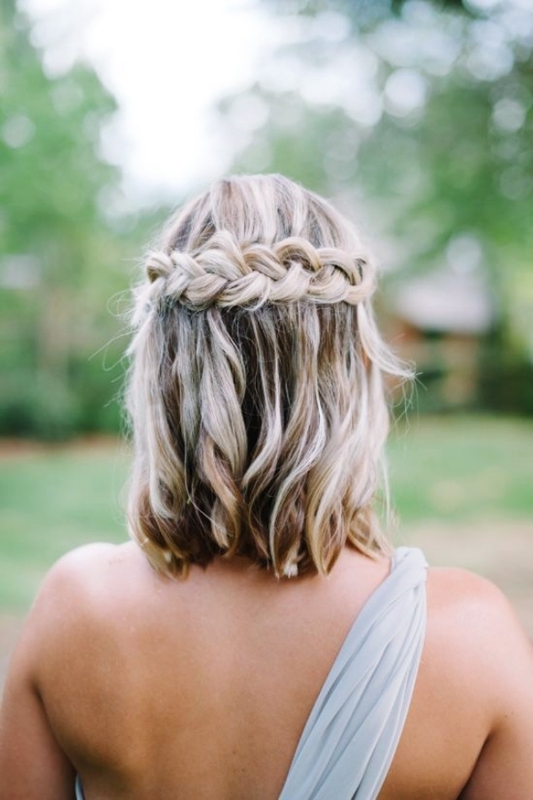 A few buns and braids and up-dos that are easily done in less than 3 minutes maybe the next thing you would need. 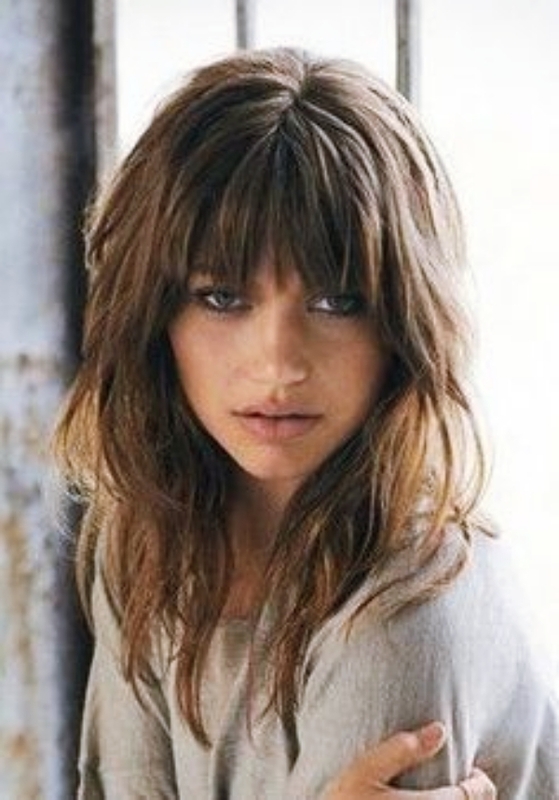 Shoulder length hair with a fringe for the front works really well. It is easy to maintain and you just need to use some volumizer and spray your hair in sections while blow drying. After drying hold the look with some light spray. This look is great for people with really thick hair and you can decide the length of the bangs based on the shape of your face. This one looks effortless and it is a hairstyle that is highly wearable. Even if it comes undone a little, it still looks great. So you can try this one when going on those long plane journeys where you don’t want to end up looking like Medusa. Just gently curl your hair in rolling waves and concentrate more towards the tips. The naturally careless look will not need too much maintenance and you won’t need to go running to your stylist for damage control. 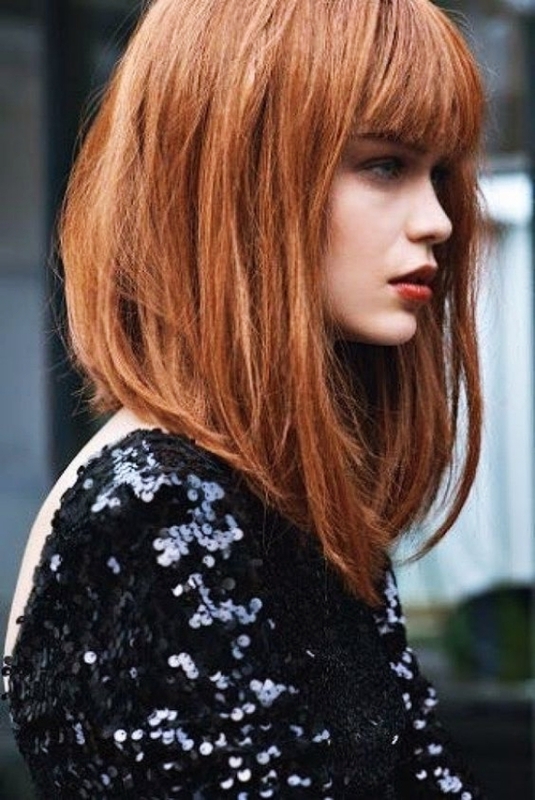 Wear your hair in long textured shag at the back and a curved fringe at the front. It provides great flexibility for movement. 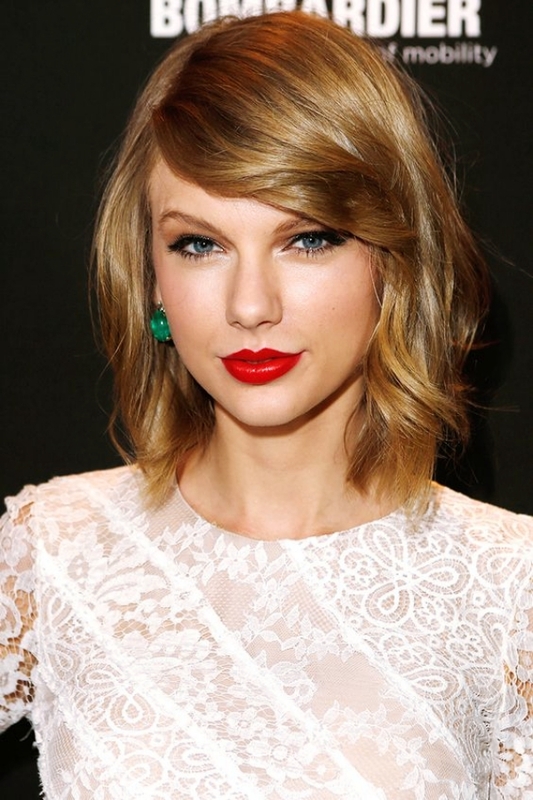 You will need some hair serum for the blowout, and a curling iron and hair spray to get this look. 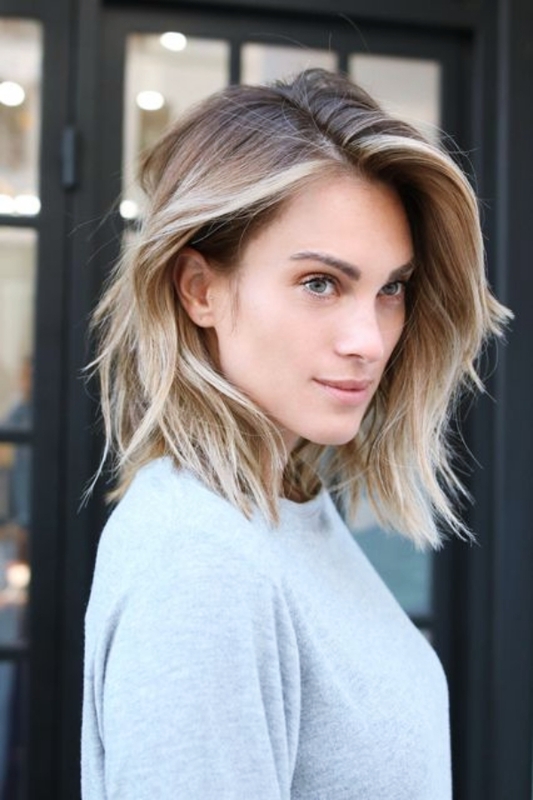 These easy shoulder length hairstyles for women are versatile and you can try them to look different each day and stun everyone. See – they are so easy that you can do them at home within minutes. So now, ditch the parlors and thoughts of spending heavily to get a nice hairstyle! I hope we’ve solved some real problems, as I know that we all just cannot do the same thing every day and these new hairstyles are definitely going to serve the purpose!